The Marketing Centre, the UK's number one provider of experienced part-time marketing directors to ambitious businesses, is celebrating its first birthday in the North West region. During its inaugural year, the business has grown swiftly to 10 marketing directors. 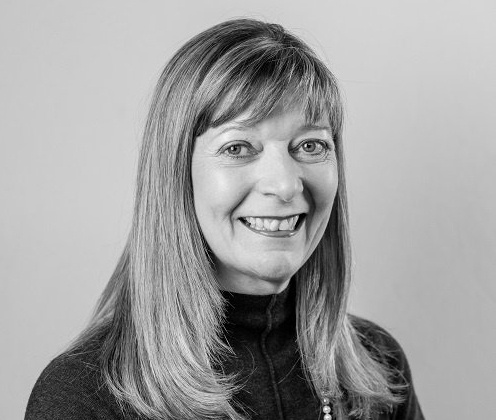 Under the leadership of Julie Brook, regional director for The Marketing Centre in The North West, the company is making real traction with small and mid-size organisations - supporting regional business development and growth. The Marketing Centre's part-time concept is driven by the frustration felt by business owners at the lack of appropriate options for accessing marketing skills. It provides organisations with a whole new means of acquiring marketing expertise, through an experienced professional plugged-into a company on a long-term, part-time basis, chosen from a team of proven marketing directors. Businesses that The Marketing Centre works for span across sectors including retail, software services, distribution, wealth management, legal services and professional services with turnovers ranging from £3m to £250m are taking advantage of this flexible, affordable and low risk approach to resourcing their marketing. Dave Farthing, Joint Managing Director of Furrows (a 100 year old car retail and commercial vehicle dealership and services group), explains: "We are really pleased we made the decision to bring a marketing director from The Marketing Centre into the Furrows Group. With their expertise we have strengthened our branding and have clear, proactive, targeted activity plans in place for all parts of the business. "Our digital presence and online marketing is also much stronger and effective too. On the back of improved web content and SEO we have grown our organic web traffic by over 18% and online leads by 11% year-on-year, alongside a reduced spend on PPC – a great result and a demonstrable return on our investment”. Julie Brook added: "The Marketing Centre is a well-established and proven model, already supporting a large number of ambitious businesses across the UK. The last year has been a fantastic one for us in the North West and we have grown significantly, from a standing start we now have a substantial team of marketing directors working across businesses in the region and professionalising their marketing approach to achieve their business objectives." “Every growing business needs a strategy in place to assist in achieving objectives, whether that be to generate new business leads, develop the brand proposition to create differentiation and cut through in a competitive market place or to establish a customer retention programme." The Marketing Centre is part of a wider network of businesses, the Liberti Group, which specialises in providing part-time senior professionals across finance, HR, IT, marketing and sales sectors to help grow ambitious businesses. To find out more about The Marketing Centre, see www.themarketingcentre.com or call 020 8012 8281.